Jocelyn and Marie-Ève, a young couple in their 20s, bought this company in 2009. Their respective backgrounds in forestry and in cuisine means they brought a knowledge base, as well as a passion for food and drinks, to the fruit orchard. This farm has several fruit trees and bushes producing apples, blackcurrants, redcurrants, elderberries, plums, grapes and other fruits. From these fruits, this farm specializes in making homemade liqueurs, spreads and syrups. 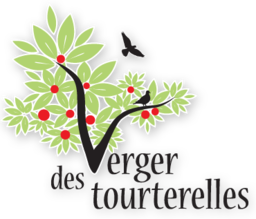 The fruit orchard takes advantage of a climate a little warmer than neighbouring Abitibi, and a microclimate related to its proximity to Lake Temiscamingue.